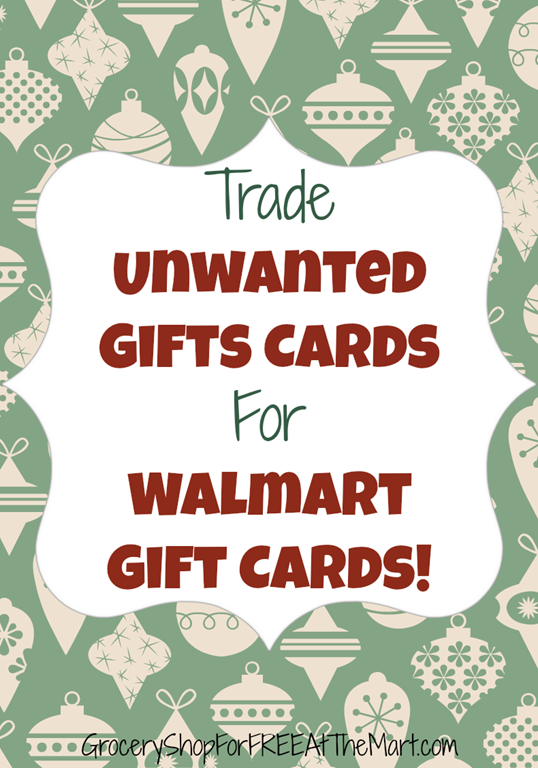 Exchange Giftcards From Over 200 Merchants for a Walmart Giftcard! This is such a cool thing! Starting tomorrow (Christmas Day) you can turn most types of giftcards in to Walmart and get a Walmart giftcard in return. This means that the Red Lobster giftcard your Aunt Matilda buys you a every year even though you have a severe shellfish allergy can finally be put to good use! It’s a very simple process, just head to Walmart.cashcard.com and follow these easy instructions. That’s a little tough to read but basically you just type in the info on the giftcards of over 200 retailers and they will verify the amount the card is for. Walmart will then tell you how much you will get back on a Walmart Giftcard. You are under no obligation to agree at this point but if you do, Walmart will send you an email with your giftcard info within 24 hours. You can either print the email out or bring it up on your smartphone for the cashier to scan. Keep in mind that you will not be getting the full dollar amount of your giftcard but usually somewhere between 70-97%. This great news for those of us with some of the $750 million worth of giftcards that go unused every year!